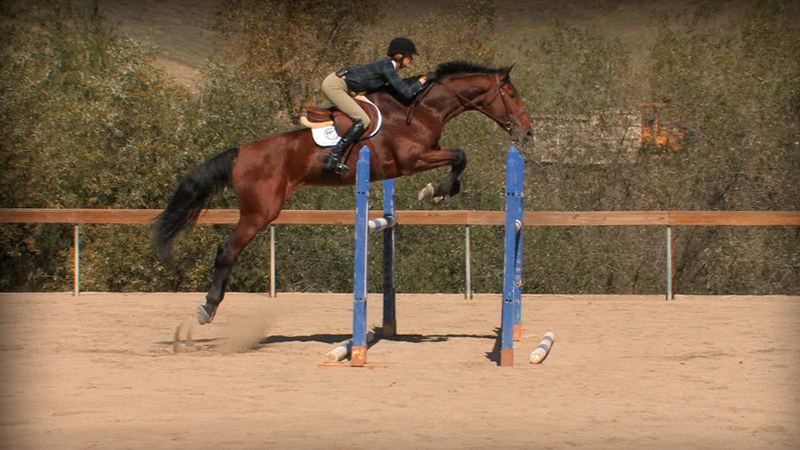 I bred a Thoroughbred/Oldenburg cross who is now 7 years old and about “20” hands. He started the Grand Prix this year with Kris Killam. He has placed in every one but one. He is very brave and has plenty of scope. We find his monster stride and extremely long legs makes verticals and combinations more difficult for him. What suggestions or videos can you recommend to help him develop techniques to help him in these two areas? 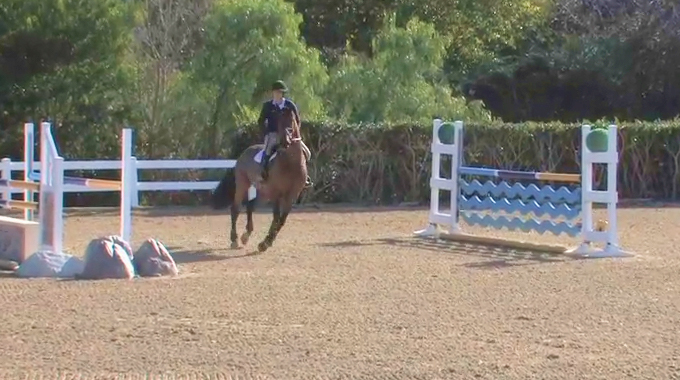 He needs more flatwork to cope with the more technical courses. When dealing with a very leggy and tall youngster—and I consider a 7-year-old to still qualify as a young horse, especially with half German breeding—some things come easy and others with much more difficulty. Usually, stride and power come easiest to the big ones, while cleverness in adjusting stride, and quickness to jump well from the base of a jump, are much harder for the big ones to master. 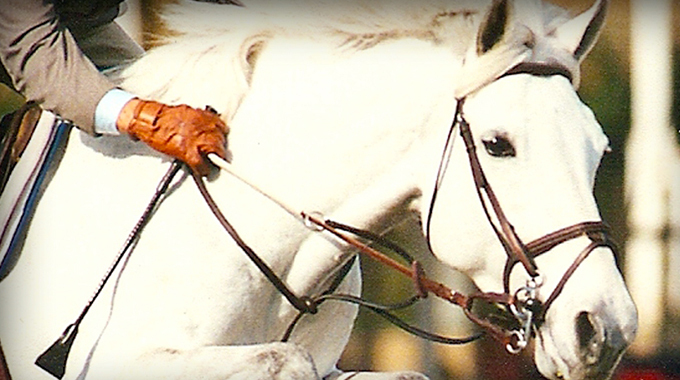 To be successful as a Jumper today, every horse must have both power and cleverness and only a rare few come with equal amounts of both; it is the trainer’s job to bolster the weaknesses of the horse through effective training. 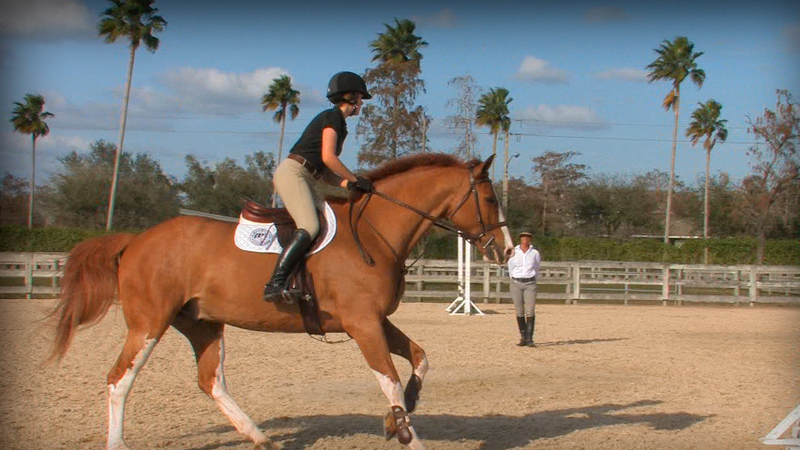 I believe the best way for a horse to learn new skills is through gymnastics. 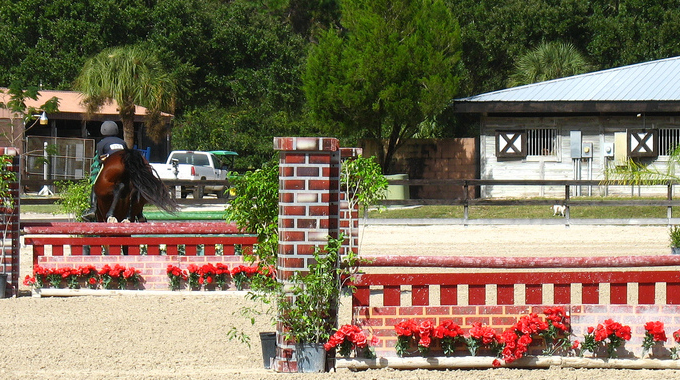 The set distances between the fences let the horse figure out the striding and balance needed to negotiate the various lines you can set up and acquire the ‘tools’ to handle everything a course might ask. 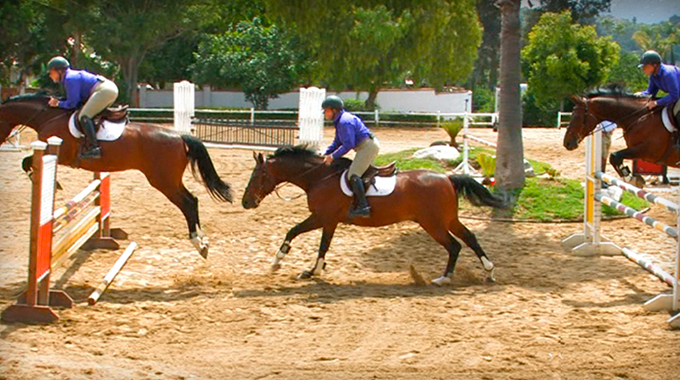 Big horses and those with particularly long strides need lots of practice in shorter distances to teach them how to compress their stride and their frame without losing impulsion. 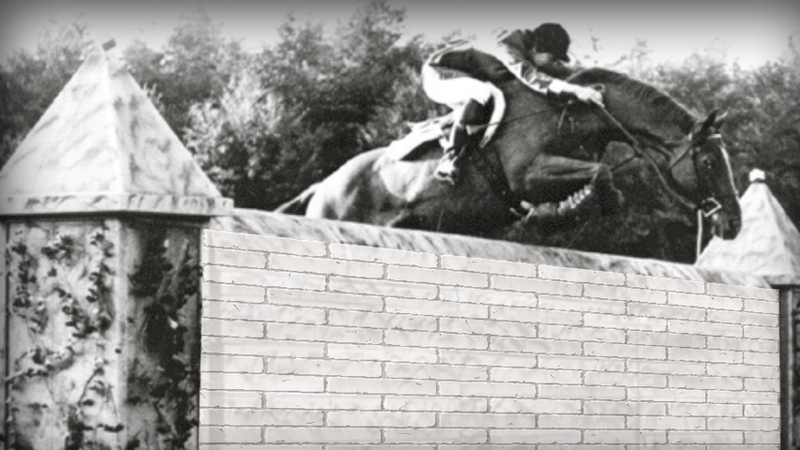 Always start with low fences that aren’t impossibly short for your horse and assure that you always enter every gymnastic line with a good rhythm (neither too quickly nor without some pace). Normally I start with a trot entrance, with an 8’ placing pole, and then when your horse handles gymnastics well switch to a 9’ rail to canter in. Since these sort of straight gymnastics don’t deal with balance on turns, I like to mix in schools over 2 or 3 verticals set on a circle with 5 to 6 strides between. Big horses often need to learn how to handle those long legs when they meet a fence on a bend (inside front and back need to be quicker and practice helps hone this skill). Again, the easiest way to set up vertical fences in a ‘clock’ pattern can be found in my book. 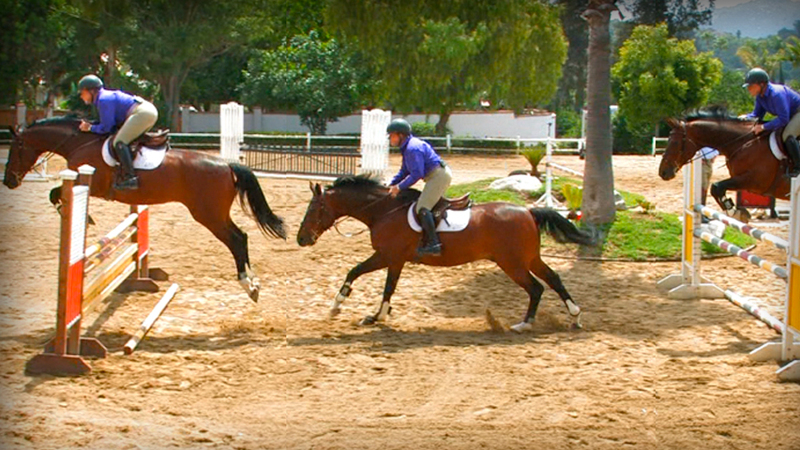 While even younger horses are fully capable of handling bigger jumps when they meet them straight, in balance, and at comfortable take-off spots, it takes time for them to learn to handle themselves in the variety of situations that they will undoubtedly encounter on course. A horse that lacks the ‘tools’ to solve every situation they meet in competition inevitably ends up stopping or knocking down fences. Take the time and effort to educate your horse so that he can go as far as his natural talent will take him and enjoy a long and successful career.